Minions Minions everywhere! 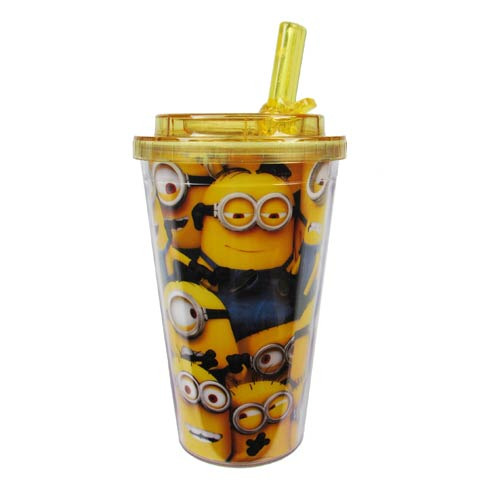 With a flip-straw top, this marvelous Despicable Me Cluttered Minions Flip-Straw Travel Cup holds 16 ounces and features an amazing number of Minions in a single image inspired by the Despicable Me movies. Ages 14 and up!